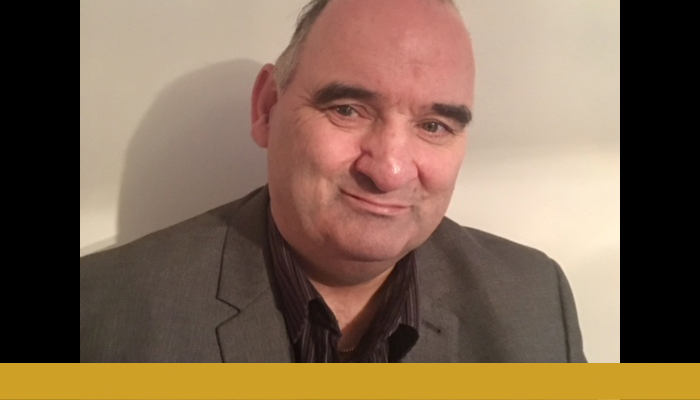 Ian talks about his experience of sudden sight loss. "I lost my sight within 36 hours in 2011. I went from a hardworking family-orientated guy to just a statistic. I had been working at my own private hire Taxi and in my spare time I ran kids ice hockey tournaments and acted as a referee for Scotland. I was diagnosed with hemochromatosis – excessive iron in the blood – which contributed to my sight condition, ischaemic retinopathy. The shock hit me hard, but a former customer of mine, who was blind and worked for RNIB Scotland, heard about my diagnosis and dropped round some booklets. I went onto become a volunteer, for RNIB Scotland which eventually led to me being offered a job as Peer Support Co-ordinator for Ayrshire. I’m now a qualified trainer for OrCam and cover all of Scotland. I’ve been in this position for two and a half years. I travel across Scotland by myself and I’ve met some wonderful people along the way!"